This ingenious 2-3/8″ diameter swing hanger is the answer for playgrounds where the kids throw the swing over the horizontal bar up top, in order to raise the swing height. These non-wrap hangers adjust within their rubber sleeves, foiling the kids’ plans. The hangers are made from stainless steel. 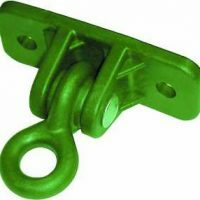 This hanger can be used to replace existing swing hangers without dismantling a swing set. And you won’t need any connectors to attach your swingchains to these hangers, because the hangers have built-in clevises (which open with an Allen hex wrench.) 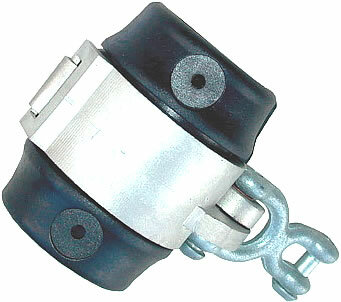 These hangers are available in two sizes of outside diameters: 2-3/8″ and 3-1/2″ (for additional charge). Buy online now! !